Landfills 8 and 10 at Wright-Patterson Air Force Base were on the EPA’s Superfund list. The landfills contained up to about 30 feet of sanitary fill, photographic processing waste and other hazardous waste. The design approved by the regulatory agencies required compaction of the landfill materials prior to placement of the top liner system. Dynamic compaction was selected as the most appropriate ground improvement technique and was approved by the owner and various regulatory agencies. 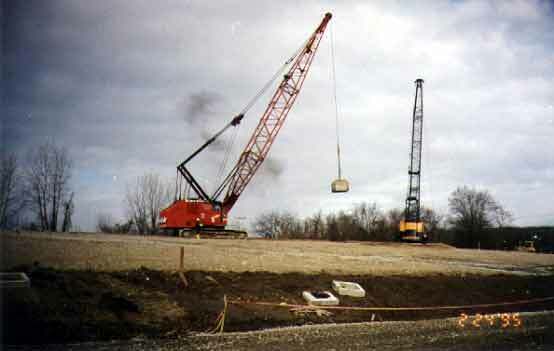 Dynamic compaction was performed with two cranes. All site personnel operated under 29CFR1910.120, including 40 hours of Hazardous Waste Worker Training.